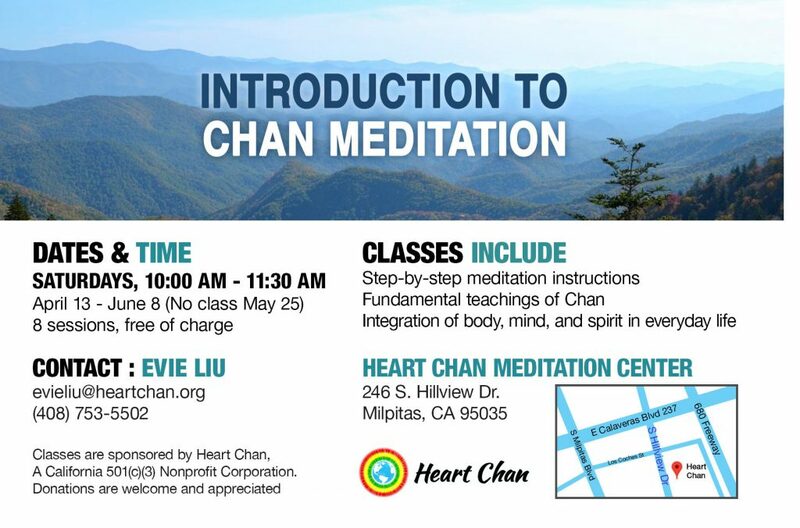 A new “Introductory to Chan Meditation Class“ will start on April 13th (Saturday), 10:00 a.m. – 11:30 a.m at our Bay Area center. This class will introduce the fundamental concepts and techniques of Chan meditation in a systematic and easy-to-understand way. 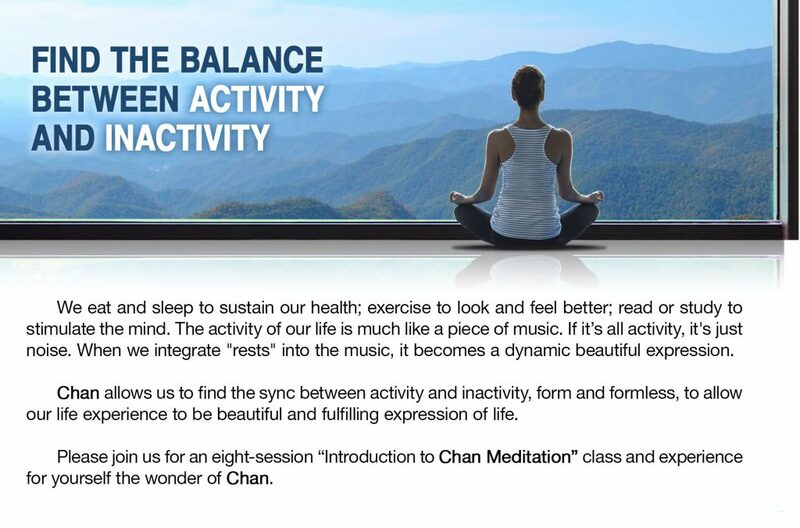 Please join us for this eight-session class and experience for yourself the wonder of Chan. You are more than welcome to invite your friends and/or family to come to the class with you. This entry was posted in News, San Jose Center, Uncategorized. Bookmark the permalink.